Popular hits from the 20s and 30s. Price: 12,00 € plus 2,50 € shipping fee (within Germany, to other countries on request). Available from our live concerts and to order via Contact. 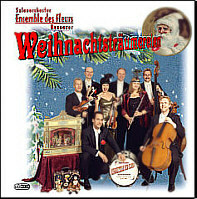 Salon Music for Christmas time. Original arrangements of 1910 - 1940 from classical to swing, part of our special Christmas program. Total time about 61 min. Price: 12,00 € plus 2,50 € shipping fee (within Germany, to other countries on request) . 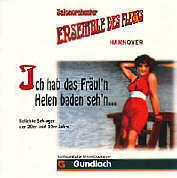 German popular hits from the roaring 20s and 30s. Price: 12,00 € plus 2,50 € shipping fee (within Germany, to other countries on request) .